The Immunogenomics conference brings together more than 200 researchers and thought leaders from around the globe exploring the application of genomic technologies to understand the immune system and the development of disease. The conference provides attendees the opportunity to engage in science discussions, network with experts in the field of immunogenomics and discover the “what’s next” in immunogenomics and how it will help shape the future of human health. The seventh Immunogenomics conference will be held October 28-30, 2019 at the Champalimaud Foundation in Lisbon, Portugal. For more information, visit hudsonalpha.org/immunogenomicsconference. Leading genomics researchers and plant breeders from around the world convene at the HudsonAlpha Institute for Biotechnology for the CROPS conference, which examines the latest genomic technology in plant breeding and crop improvement. Co-hosted by HudsonAlpha and the University of Georgia, CROPS brings together leading researchers applying genomic-based techniques to crop improvement, plant molecular breeding experts, and traditional breeders interested in applying these techniques within their crops of interest. 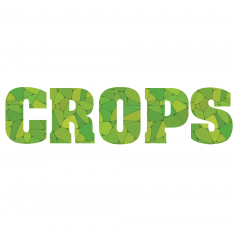 The next CROPS conference will be held June 3 – 6, 2019 at HudsonAlpha. For more information about speakers, abstracts, and poster submissions and to register, visit hudsonalpha.org/crops. Genomic medicine is increasingly being integrated into clinical care. The HudsonAlpha Genomic Medicine: Empowering Personal Health conference is designed to educate physicians, nurses, allied health professionals and clinical researchers in the technologies, applications, ethics and social impacts of the practice of genomic medicine. This interdisciplinary and international program is focused on advancing knowledge in the field of genomic medicine in a clinical care setting, and empowering clinicians with the information they need in order to begin integration of genomics into medical practice. 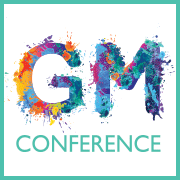 The next Genomic Medicine Conference will be held in April 2020. For more information, visit hudsonalpha.org/genomicmedicineconference. The HudsonAlpha Seminars bring together experts in genetics, genomics, biotechnology, bioinformatics, medicine and immunology for free, public presentations and debate among the scientific community. The seminars also provide valuable academic learning and discussion opportunities for scientists training in labs at the Institute and at the University of Alabama at Birmingham. Seminars are hosted by researchers at the HudsonAlpha Institute for Biotechnology from October through May. More information on HudsonAlpha Research Seminars, including an upcoming schedule, can be found at hudsonalpha.org/seminars.